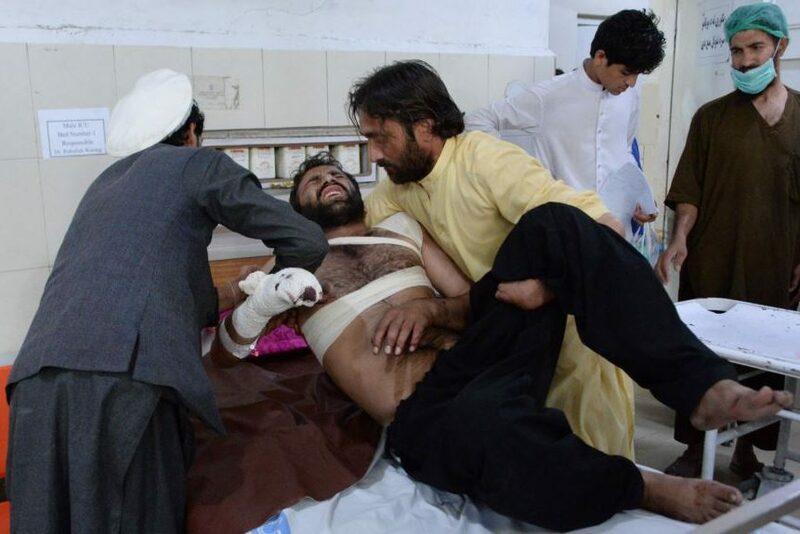 Two days ago, three explosions rocked the Afghan city of Jalalabad, killing eight and injuring 55 at a nighttime cricket match. The blasts were timed in two waves, with the first detonating inside the stadium and the second just outside the exits in an apparent attempt to kill fleeing spectators. The attacks came early in the Islamic holy month of Ramadan, a time usually known for peaceful reflection and a lull in terrorist activities. Jalalabad, a city near the border of Pakistan, has both a Taliban and Islamic State presence in the region. To date, no group has taken responsibility, although the Taliban denied involvement in a statement, despite increased violence in their spring offensive. The blasts, which killed the organizer of the “Ramadan Cup” event, Hedayatullah Zahir, were located underneath a raised announcer’s dais and near the entrance gates. Although it is not clear whether suicide attackers were involved, reports claim that a second bomb was hidden in a motorized rickshaw. Cricket is a valuable tool for peace in both Afghanistan and the greater Middle East. Cricket matches are considered somewhat sacred, as they allow for a break from the ethnic divisions of daily life. This is the second attack on a cricket match in as many years; the Islamic State took responsibility for three deaths at a match in September 2017. Cricket has seen an astronomical rise in popularity since its inception in Afghanistan about a decade ago. Brought from Pakistani refugee camps, the game has become somewhat of a cultural phenomenon; Afghans frequently tune into Indian Premier League games as sources of entertainment. Afghanistan has even seen some success in the game. Fourteen-year-old Rashid Khan is the game’s newest superstar, and at a salary of $600,000 for six weeks of play, he is one of the highest paid Afghans in the world. This is in stark contrast to the 1990s, where cricket was banned in Afghanistan by the Taliban for being a distraction from religious study. In fact, the national pitch, Ghazi Stadium, was an execution site for the regime. Both Afghan President Ashraf Ghani and President of the Afghanistan Cricket Board, Atif Mashal, condemned the attacks, calling them “attacks… against peace, unity and humanity”. Ghani specifically highlighted that this was the first attack since the beginning of the month of Ramadan, which began on Thursday. The Nangarhar province, which contains Jalalabad, has been the target of violence recently, as an attack on a public records office killed fifteen last week. The violence is not isolated to civilians: Seven of the twenty-one US soldiers killed in Afghanistan in 2017 died in Nangarhar. There is worry of further unrest in the region; last week, the provincial governor was relieved of his post for failing to protect the region.